Item # 317530 Stash Points: 5,995 (?) This is the number of points you get in The Zumiez Stash for purchasing this item. Stash points are redeemable for exclusive rewards only available to Zumiez Stash members. To redeem your points check out the rewards catalog on thestash.zumiez.com. An ode to Trevor McClung, one of the smoothest, techiest professional skateboarders to date with his all-new Plan B Trevor Blockhead 8.1" Skateboard Deck. This quirky board features a Lego-inspired character graphic that's made to look like the young shredder. Manufactured with the brand's signature Prospec construction, this deck offers a high durability rating, torsional control and tons of pop. 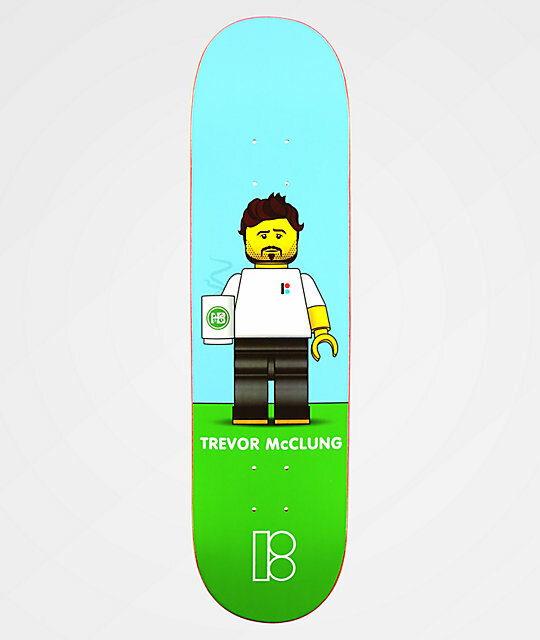 Trevor Blackhead 8.1" Skateboard Deck from Plan B. 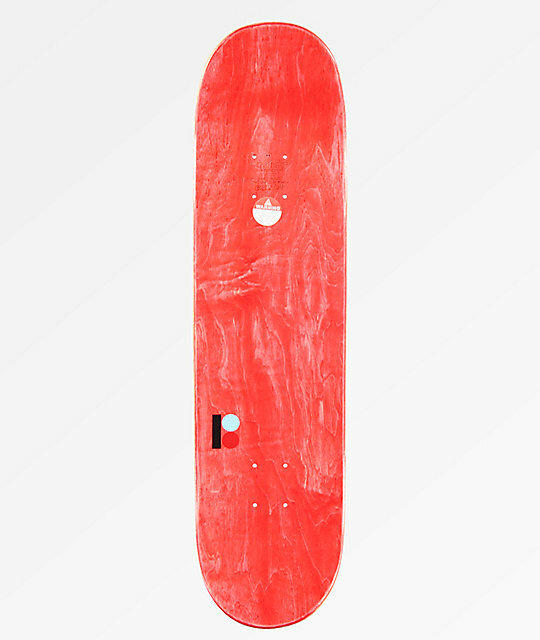 Signature Trevor McClung pro model. Plan B's Prospec construction: 7-ply North American Maple with thicker top and thinner bottom plys for torsional control and durability.